NATIONAL Capital District Governor Powes Parkop says the Boroko Market in Port Moresby will be used by Gordon Market vendors. He said the market was still standing idle due to the project delay of the Gordon Market upgrade. 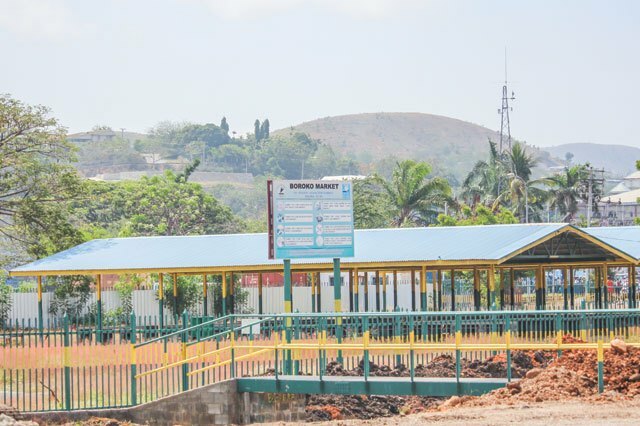 Parkop responded to concerns raised by members of public that since the Boroko Market was officially opened in October 2011, it has not been used. He said the facilities would be used temporarily by vendors from Gordon. “We will be closing tender on Gordon Market soon, so construction may start in the new year so we will use it soon,” he said. Parkop said that decisions would be made soon. In the meantime, people from the Hanuabada village were using roadsides as their market place as they did not have a proper market. Parkop said NCDC could assist them to build a market place. “But we (NCDC) do not have land to build them a market place,” Parkop said.